Dry skin, fine lines & wrinkles, dull complexion? Fear not. 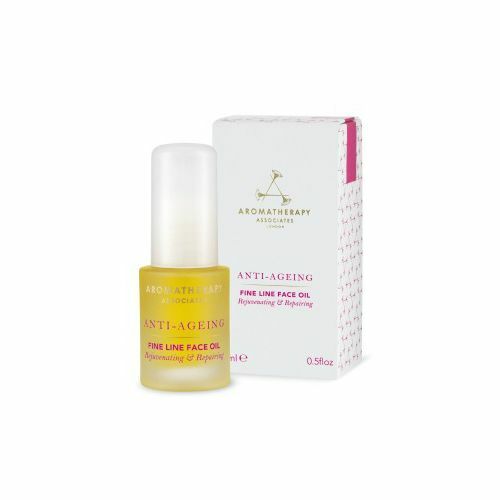 This potent blend of botanical ingredients sourced by the cosmetic chemists at Aromatherapy Associates will get your complexion back on track. Repairing and nourishing, Aromatherapy Associates Overnight Repair Mask harnesses the powers of nature to plump-up the skin, increase elasticity and improve hydration. Rose, Frankincense and Strawberry Seed Extract smooth the complexion to reduce the visible signs of ageing using rich fatty acids. Millet Seed and Rice Germ oils protect the skin from environmental damage and free radicals. Aromatherapy Associates Overnight Repair Mask is suiatble for all skin types and is particulary beneficial for those with sensitive and dry skin types. Use twice weekly before going to bed. Aromatherapy Associates Overnight Repair Mask takes multi-tasking to a whole new level. Whilst you're catching up on your beauty sleep, Aromatherapy Associates Overnight Repair Mask feeds the skin with rich fatty acids and natural nutrients to improve the appearance of the complexion and increase radiance. Applied to clean, dry skin before going to bed, this overnight face mask will plump the skin, increase elasticity and brighten the complexion. Before going to bed, cleanse and tone the face. Take a pea-sized amount of Aromatherapy Associates Overnight Repair Mask and apply it all over the face. Take yourself off to bed, and when you wake-up, cleanse the face to remove any residue and apply your daily moisturiser. Apply Aromatherapy Associates Overnight Repair Mask to clean, dry skin before going to bed. In the morning, cleanse the skin to remove any residue and reveal a brighter, more radiant complexion. Use twice weekly to keep the complexion youthful and radiant.